Teitan wrote: Laquon Treadwell also available..
Arizona offers pick number 254. The 36th pick in the 7th round and the third last overall. Laquon Treadwell. I thought he was the next Anquan Boldin. Just goes to show what I know about the draft. I know you're kidding, but Cleveland will give Minnesota #189 for Treadwell + #225. That seems generous for getting that first round salary off the books. We have to add at least 2 receivers over the last 4 rounds. Treadwell would check one box. Before you accept the terrible offer, keep in mind that Treadwell's contract is very cheap and trading him would cost more than keeping him and the Vikings already have limited cap space! So you can pay more for someone else to try and realize any potential or keep him as a cheap depth WR and hope for more! The next Steve Smith is Anthony Miller from Memphis mark my words. BucaRican wrote: The next Steve Smith is Anthony Miller from Memphis mark my words. I'm a big Anthony Miller fan. He and DJ Moore are my two favorite WRs in this class. This WR class lacks a WR1, but has some good guys that can be productive compliments like Moore, Kirk, Miller, Ridley. Were the draft grades just a first round thing? Deja Entendu wrote: Were the draft grades just a first round thing? Hell yes and you were satisfied. Haha I didn't know how you were gonna analyze every pick in all four rounds. Where is Naismith? Prolly trying to formulate another Falcons-Jaguars trade. theBKwhopper wrote: Haha I didn't know how you were gonna analyze every pick in all four rounds. I was looking forward to it. And the mock draft prior. Bootz LLC really let us down. That can be arranged. Give me a few hours. DreadNaught wrote: Where is Naismith? Prolly trying to formulate another Falcons-Jaguars trade. I'm one of the few people that responds to my trade offers! Hmmmm. So many players to choose from. I think I'll sleep on it and make my pick in the morning. I politely responded to your offers. It just wasn't the response you wanted. Sorry I didn't want to trade away the guy I had just traded for. But you finagled Josh Gordon for a late 3rd and you've drafted well for the both the Falcons and Jags so kudos. Yeah, I wasn't talking about you. I appreciate everyone that has responded to me, even with negatives! I just thought that next year I will only reply to trade offers with gifs. lol pardon my french but why the **** would the Browns trade Josh Gordon at this point in the game? He costs them $800,000 this year - this'll be his first full year back, he showed flashes of his former self last season in limited playing time... he's an absolute monster when he's played... he's in ridiculous shape... he's got a full offseason of prep... he's sober... and you have them taking a new QB at #1 overall. ****ing what the what lol. It just doesn't make any sense!?!?!?!?! beardmcdoug wrote: lol pardon my french but why the **** would the Browns trade Josh Gordon at this point in the game? He costs them $800,000 this year - this'll be his first full year back, he showed flashes of his former self last season in limited playing time... he's an absolute monster when he's played... he's in ridiculous shape... he's got a full offseason of prep... he's sober... and you have them taking a new QB at #1 overall. ****ing what the what lol. It just doesn't make any sense!?!?!?!?! Culture and accountability matter. I would have traded his *** four years ago. I had to settle for doing it now. If I was approaching this like Madden, I wouldn't have dealt him. I approached it like trying to build a winning culture in Cleveland. Maybe he'll get right, maybe not. But the old regimes - like five of them - sent a perfectly clear message that not being able to count on a guy wasn't a problem. No more. Jags will trade these two picks for any pick until their guy is gone. 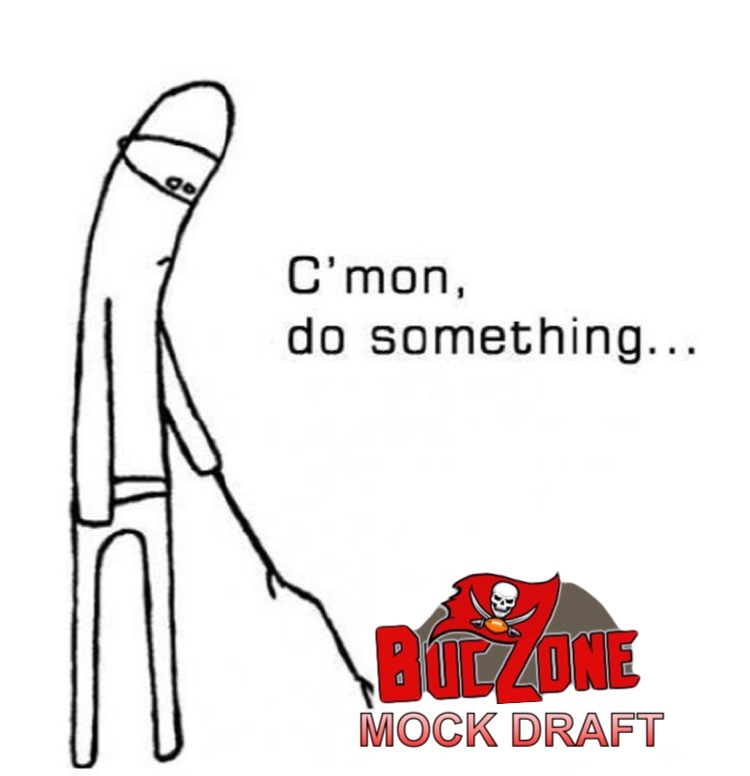 They already have an A+ draft, but they're getting greedy. Are you being selective about who culture and accountability matter for?